Hello lovelies, today I'd like to get a little personal if you don't mind. Yesterday was somewhat of a breaking point. I found myself feeling incredibly irritable, a feeling spawned by a lack of appreciation. I felt like I was being pushed and pulled to do things for everyone, as I usually am, but receiving no gratitude for the things I do. Then I felt selfish for feeling like I deserved a little more recognition, but you sometimes can't help what you feel. After crying it out, yes it was that bad, embarrassing I know, I felt somewhat better. Crying can be one of the easiest ways to let off steam, and it did help. What really got me through was venting to my sister. She's my rock and my bestfriend. She could relate to feeling unappreciated, and it was easy to talk to her about it. As the picture reads "You can't please everyone", and because I've always tried I've allowed people to be expectant of my generosity. Saying "no" to people, especially loved ones has always come hard for me, but it's something I'm working on. My lovelies if ever you find yourself hitting a massive low, please talk to someone about it. I've always been the "bottle it up" type, and it's not the most healthy course to take. So talk it out, vent in whatever healthy way you can think of. If you have any other venting methods please let me know. I'm still reeling in some of the emotion from yesterday and blogging it out helps as well. So whatever your outlet is use it! With that I wish you a happy weekend! What are your plans? I hope to finally get an upgrade on my phone tomorrow, *crosssing my fingers for an iPhone*. If all goes as planned expect a better instagrammer out of me! True phase! Cute blog btw! Thank you! We have the same last name! I'm going to visit some showrooms and meet some friends. Wish you a great weekend too! It's a work in progress! A good cry does take a load off. Crying always helps! I know it very well! Enjoy the rest of your weekend, Dalia! Thanks, very sweet of you Victoria! It's only natural to want to be recognized for the things that you do for other people. Of course that doesn't mean that you're selfish, it just means you're normal. 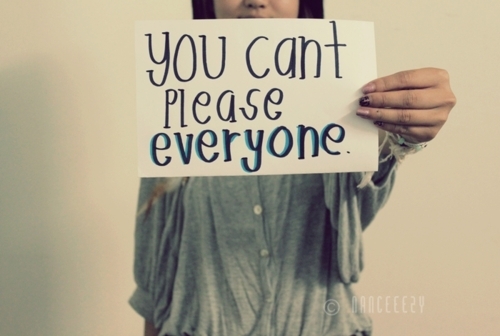 You definitely can't please everyone and you REALLY can't make everyone else happy if you're not happy yourself. Sometimes you just have to look out for yourself first and help people when you can in order to keep your own sanity! Chin up! :) You seem like a lovely person. I'm guilty of bottling things up too, it's not nice is it? Great post! Keep your head held high!